Erasmus+ is the European Union programme for education, training, youth and sport. It runs for seven years, from 2014 to 2020, with organizations invited to apply for funding each year to undertake creative and worthwhile activities. Erasmus+ aims to modernise education, training and youth work across Europe. It is open to education, training, youth and sport organizations across all sectors of lifelong learning, including school education, further and higher education, adult education and the youth sector. It offers exciting opportunities for UK participants to then study, work, volunteer, teach and train abroad in Europe. 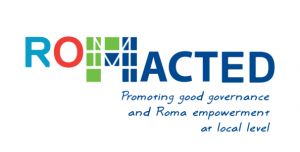 ROMACTED, “Promoting good governance and Roma empowerment at local level”, is a Joint Programme between the European Union and the Council of Europe. The programme will be implemented by the Council of Europe’s Roma and Travellers Team and the Office of the Directorate General of Programmes in Albania, Bosnia and Herzegovina, Kosovo*, Montenegro, Serbia, “the former Yugoslav Republic of Macedonia” and Turkey. The agreement with between the EC and the CoE was signed on 1 May 2017, and after a six month period of inception, the programme will be implemented in approximately 59 Municipalities (local administrations, elected representatives and officials) and the Roma communities, for a period of 28 to 30 months, until the end of April 2020. ROMACTED results from the experience of the ROMED and ROMACT programmes and will reflect upon the adaptation of these methodologies and activities to each beneficiary and selected location, in order to fit into the policy cycle and the dynamics and reality of each municipality, and thus bringing an additional input to existing policies and practices for an effective and more inclusive functioning. The 8 Municipalities chosen to propose the implementation of ROMACTED in Kosovo* are: Gjakovё/Ðakovica; Gračanica/Graçanicё; Mitrovicё/Mitrovica South; Lipjan/Lipljan; Fushё Kosovё/Kosovo Polje; Ferizaj/Uroševac; Istog/Istok and Obiliq/Obilič municipality. For more details about ROMACTED Programme click the link below.